The chef adult costume is a classic costume. It can be used to create the look of a chef for Halloween, Career themed costume parties, or theatrical productions. 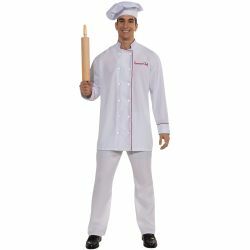 The Chef adult costume is colored as pictured. Costume includes chef hat and chef jacket. The red lettering on the jacket reads “Gourmet Chef”. 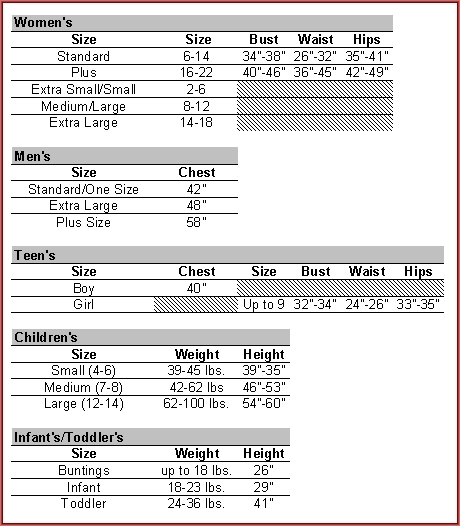 Costume is available in adult men’s size standard but costume is unisex so it may be worn by both men and women.